Update (4/11/17): Chico Malo is ready to open its doors at CityScape in downtown Phoenix. The Mexican eatery opens to the public on Friday, April 14. It is located beneath Copper Blues at CityScape near First Avenue and Jefferson Street. The "bad boy" eatery is the latest concept from Culture Shock Hospitality, which formed last year. In the morning, it will offer fast-casual breakfast items. For lunch and dinner, it will turn into a sit-in restaurant. 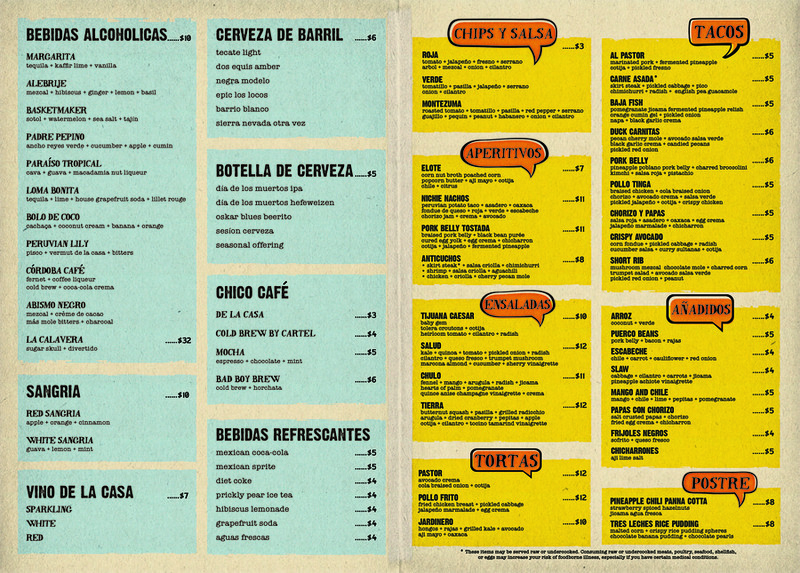 The menu features South American cuisine such as Chilaquiles, tortas, nine varieties of tacos, salads, nachos and tostadas. 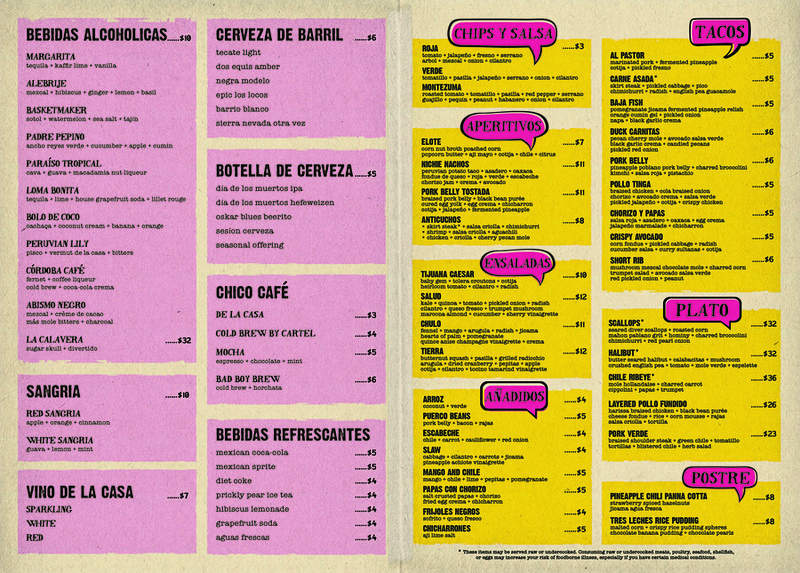 Here's your sneak peek at the lunch and dinner menus. Downtown Phoenix will gain another Mexican restaurant by the end of the year. Chico Malo , which translates literally to "bad boy" in Spanish, will be located in CityScape in the space beneath Copper Blues. The menu will consist of items inspired by Mexican street food and South American flavors, including ceviche, street corn, chilaquiles, tacos and tiraditos, according to a news release. It is the latest concept from the newly-formed Culture Shock Hospitality group, which is led by Teddy Myers. Chris Mckinley was hired to oversee the development of the menu and the restaurant's launch. Myers said in a prepared statement that guests should "expect some of what's familiar, but expect some new stuff you haven't tried, too." The restaurant is slated to open in December.